Android Wear will provide hardware partners with access to frameworks for mobile notifications, "OK Google" digital assistant support, built-in health and fitness tracking, and two-way synchronization with Android handsets. The company is also planning third-party application support and envisions an "expansive catalog of apps." Google will focus its energies on smart watches at first, with other wearables likely to follow if the new platform proves successful. Clothing and accessory maker Fossil, one of the largest manufacturers of so-called "fashion watches" in the world, has signed on to produce one of the first Android Wear-powered smart watches later this year. "Although still very much in the formative research and development stage, we are committed to playing an active role in the push toward wearable technology and helping to shape the fusion of fashion and technology, Fossil strategy and marketing chief Greg McKelvey said in a release announcing the brand's participation. Alongside Fossil, a number of consumer electronics and component companies are already on board. Among those announced are manufacturers Asus, HTC, LG, Motorola and Samsung as well as semiconductor firms Broadcom, Imagination, Intel, Mediatek and Qualcomm. 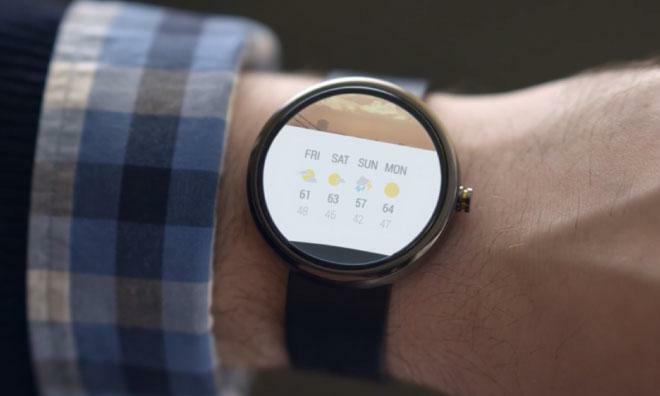 The announcement comes just under one month after whispers began to emerge of a Google-powered "Nexus" smart watch that would act as a demonstration of Android's capabilities in wearable devices, much like the company's Nexus handsets and tablets do. Google bought smart watch maker WIMM Labs last year in what many believe was a move aimed at preempting Apple's eventual entry. Android has already made its way onto consumers' wrists in the form of Samsung's first-generation Galaxy Gear smart watch, which was largely panned by critics and faced lackluster sales. Samsung's second attempt dropped Android in favor of the homegrown Tizen operating system, and there is no word on whether the company will consider returning to the Google stable in the product's next revision. Google has another horse in the wearable race, an Android-powered augmented reality headset called Google Glass. Pundits have lauded Glass for its potential, but reaction has been more muted when it comes to the device's current capabilities.